I will show you how to install Screen Personas 3.0 from SAP S/4 HANA 1709. 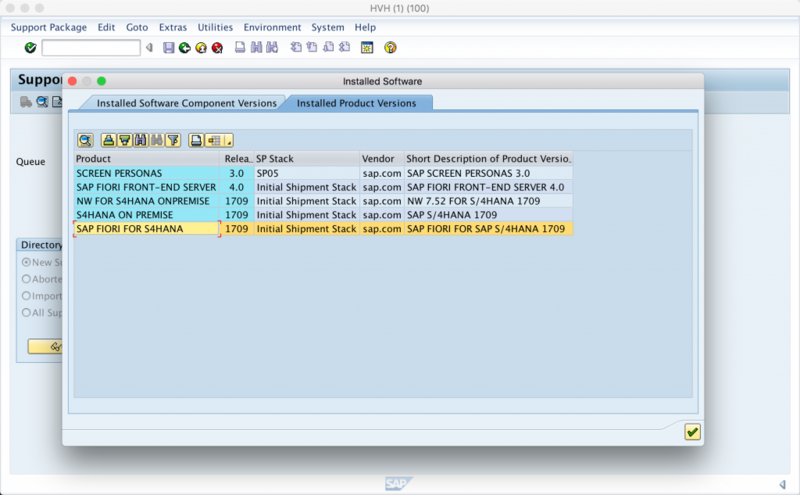 I am going to explian the Screen Personas 3.0 will be installed in S / 4 HANA. 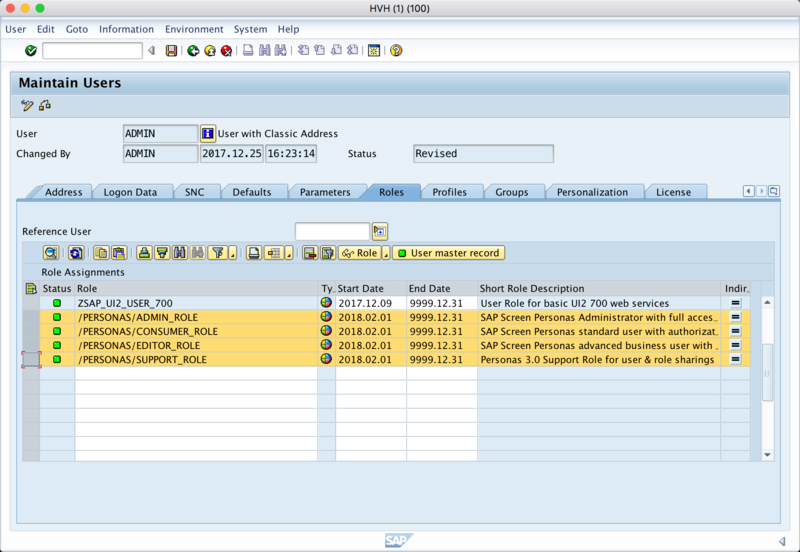 It is not installed only in Screen Personas 3.0 S/4 HANA, but it can be installed in SAP ERP Ehp 1 ~ 8 as well. 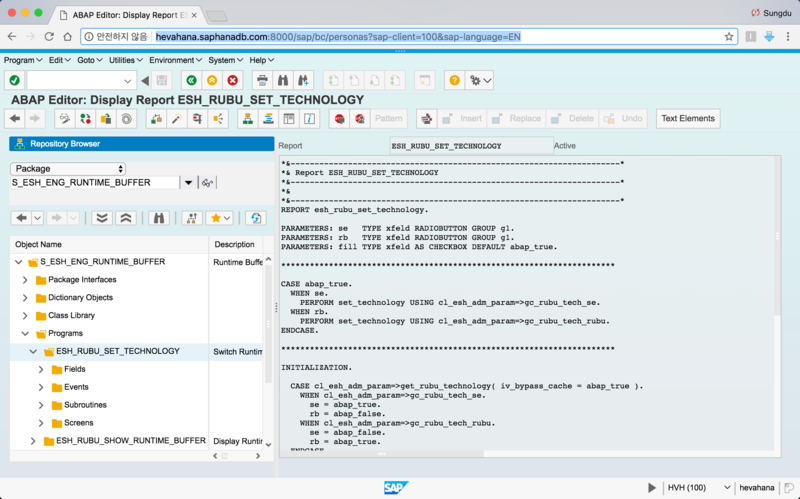 In this section, I will explain what you install on S / 4 HANA and what you install on SAP ERP. Although SAP has released various UI (User Interface) and promoted it, it is not as highly utilized as SAPGUI. However, I would like to introduce this as the IT environment changes into the Web environment. I will explain Screen Personas first in SAP and how to install it. When you connect Personas, you get the impression that you have mixed up the WebDynpro screen with the JSP screen. On the other hand, I feel like I switched to ITS and switched SAPGUI’s Transaction Code to Web. I will briefly explain what is called Screen Personas and explain the installation process. Let’s start with Screen Personas in SAP. 1. 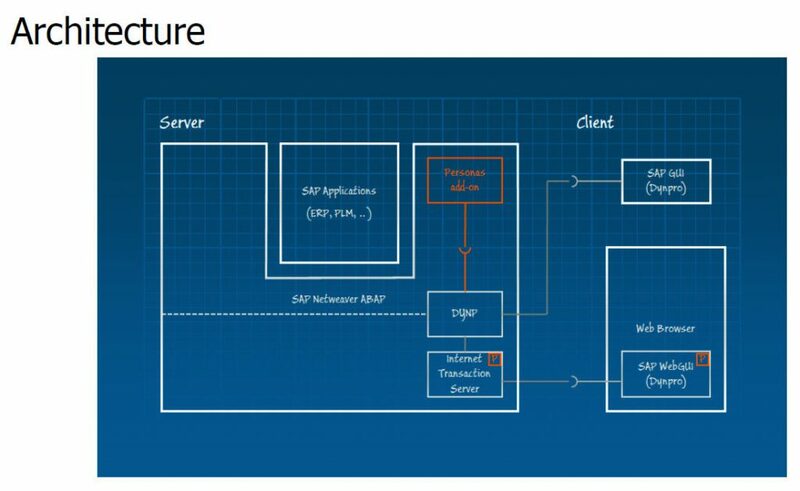 SAP said Screen Personas consisted of WebDynpro and Internet Transaction Server (ITS). 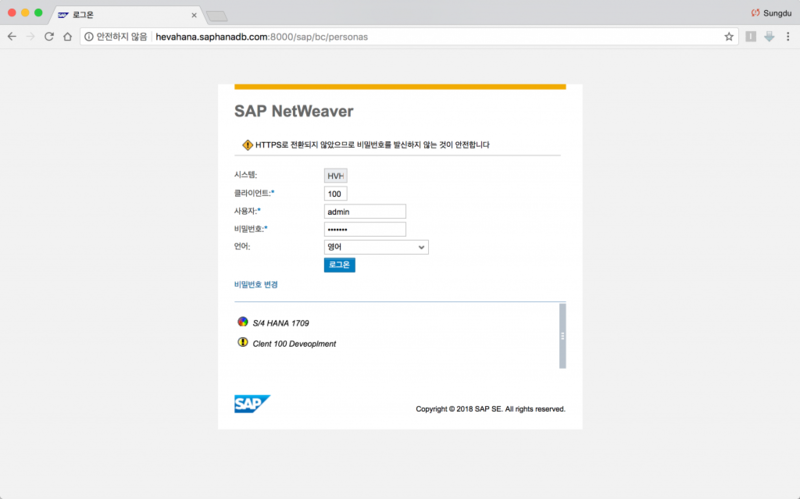 In other words, the infrastructure is configured to connect the screen with the ITS and connect to the Netweaver ABAP and connect using the user’s web browser. 2. 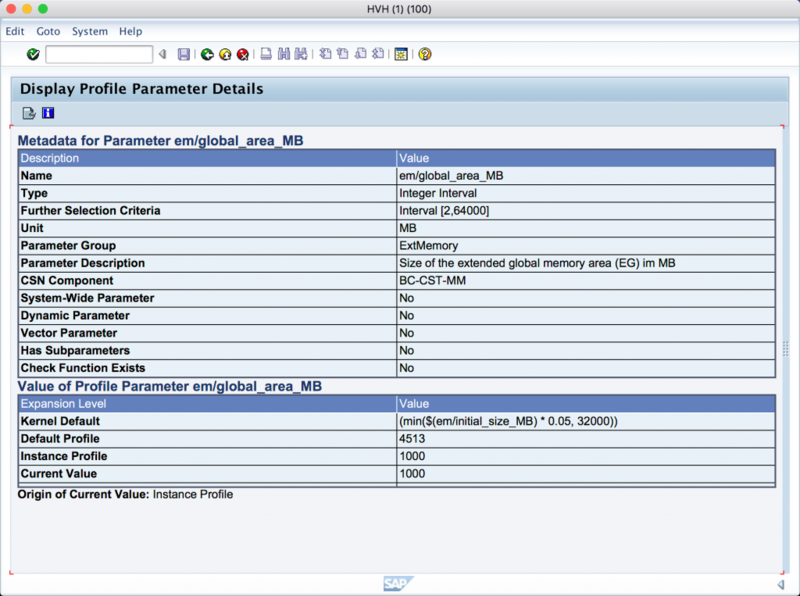 Let’s take a look at what SAP provides for the user interface (UI). The part of Screen Personas is marked with a red square in the center. Here you can see how to use Dynpro (Dean Pro) and WebDynpro (WebDin) from the technical side. Using Webdynpro is to connect using a web browser (Internet Explorer, Chrome). 3. 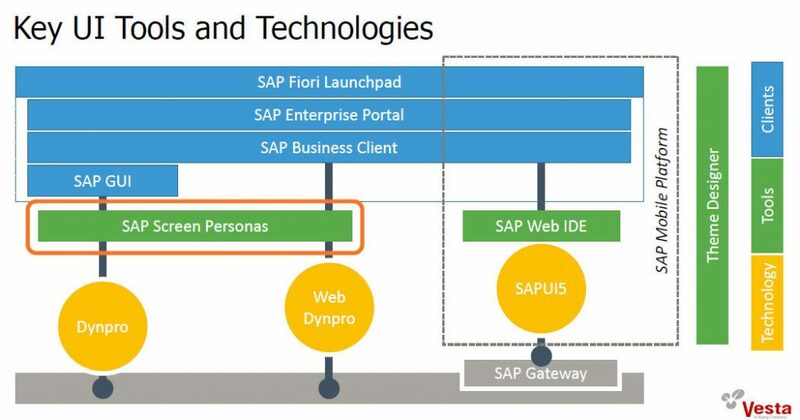 To give you a more basic understanding of SAP Screen Personas, the initial Personas 2.0 will need to install Microsoft’s Sliverlights on the end user’s computer to see the Parthna. Now, with Persaons 3.0, you can also access Microsoft’s Internet Explorer or Google’s Chrome. 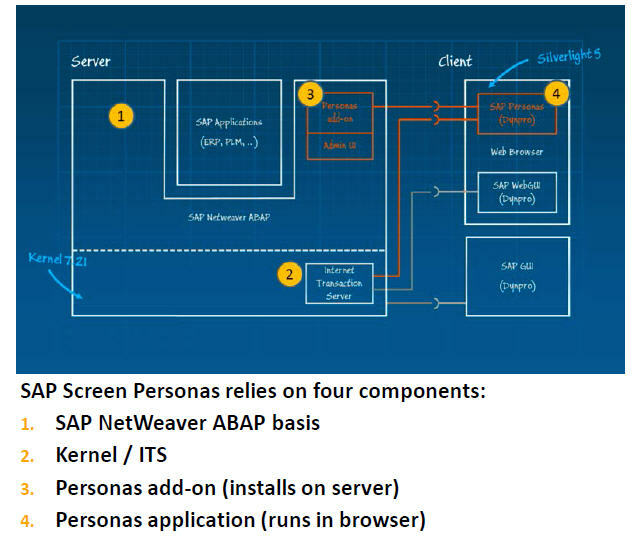 The reason why we explain the screen below again is that in order to implement Screen Personas, the version of SAP Netweaver must match the SAP Kernel so that you can see the Personas screen. If the version of SAP Kernel is not correct or is lower than the desired version, Personas’s screen will not be displayed. I do not know if Personas is actually used by a regular customer because of these limitations. 4. The following diagram illustrates the relationship between the Kernel and the Netweaver (Basis) version of SAP ERP required by Screen Personas 3.0. This is the same term as BASIS when we talk about SAP Netweaver (Web Application Server) differently. And what made the kernel tables tick is that there is a lot of correlation between them and the Kernels must match to use Screen Personas. 5. We will now install Screen Personas 3.0 on the S / 4 HANA 1709 in earnest. 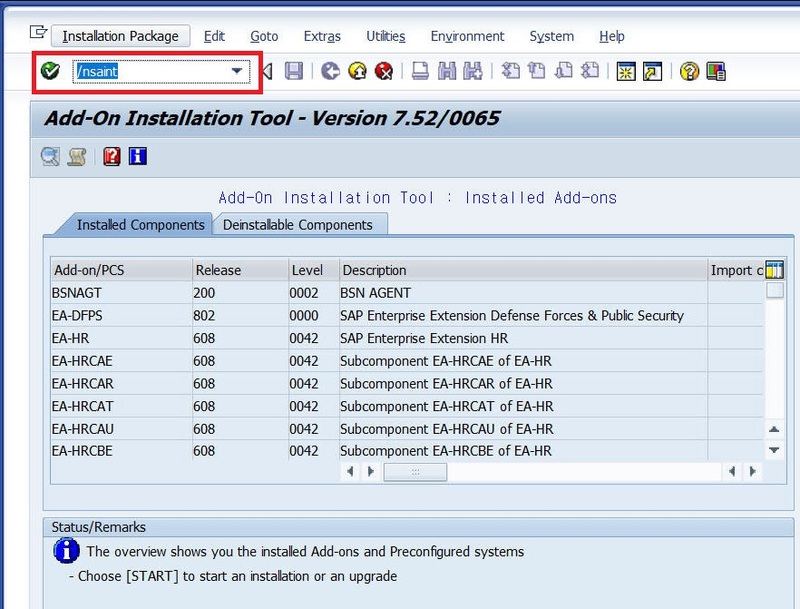 Until December 2016, when you tried to download SAP Software Component, Solution Manager had to be installed. Solution Manager is a way to make use of the old Solution Manager 3.1 version of the emphasis on the use of seminar I did not use. So, we recently installed Solution Manager in order to get support from SAP. So we installed Solution Manager 7.1 by default. 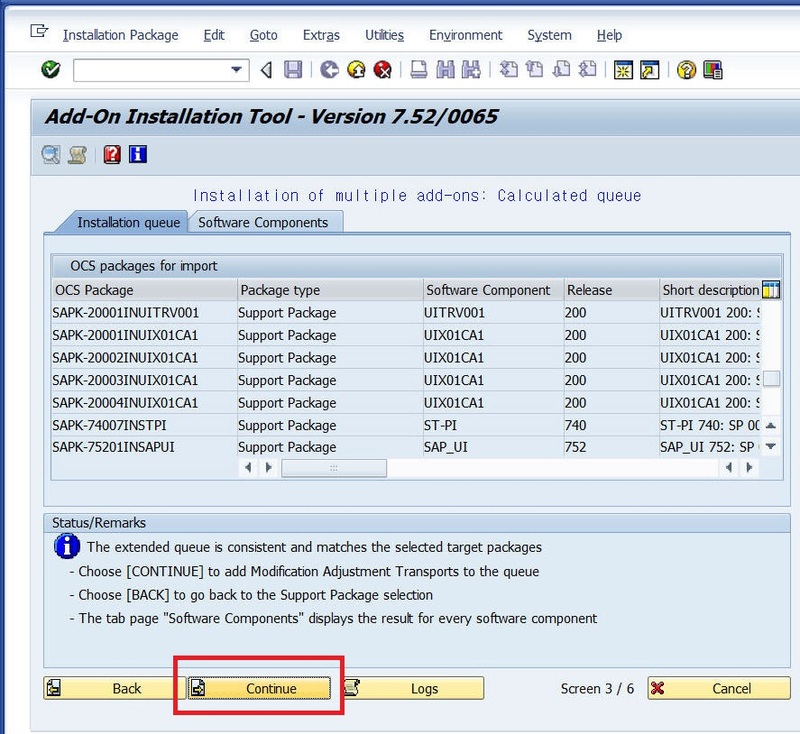 We applied SAP Support Package using SAP Solution Manager 7.1, Maintenance Optimizer function. 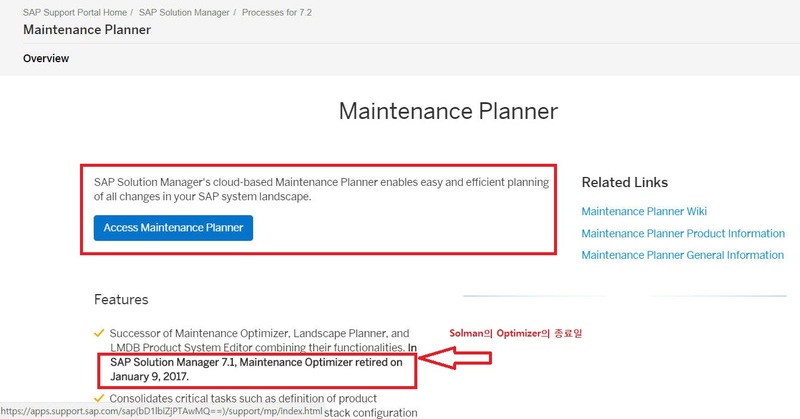 Now, we have moved the maintenance optimizer functionality of Solution Manager to SAP Support. The URL below is that address. 7. 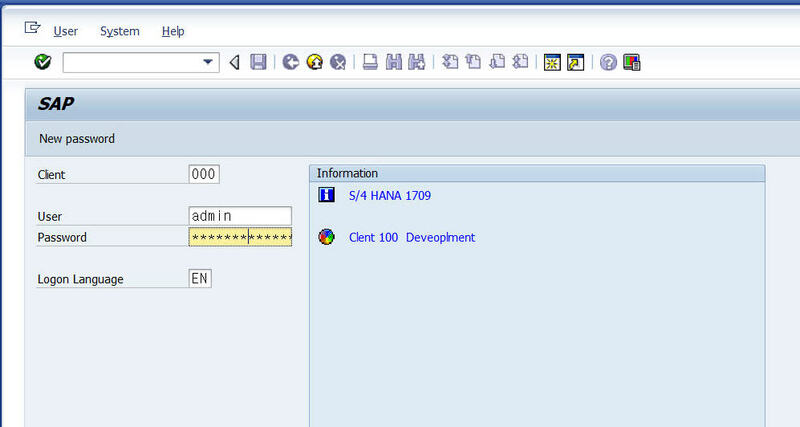 Select S/4 HANA 1709. 10. Type Transaction SAINT and upload the downloaded xml file. 12. 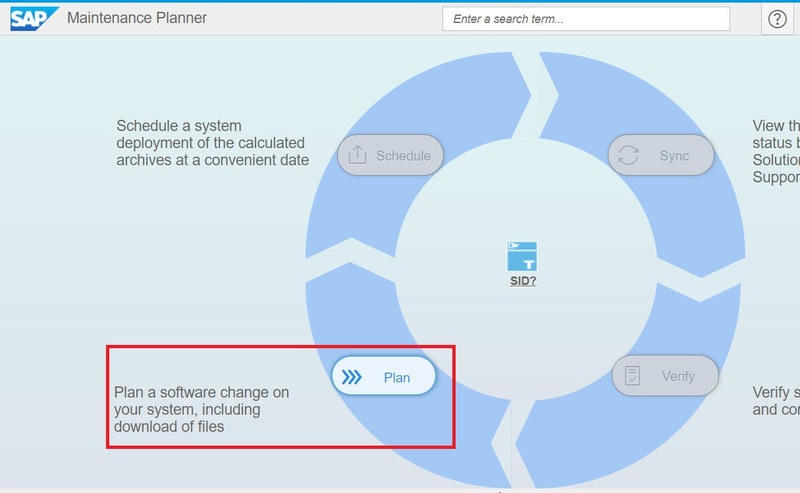 The S/4 HANA 1709 now has Fiori 4.0 add-on completed successfully. 13. 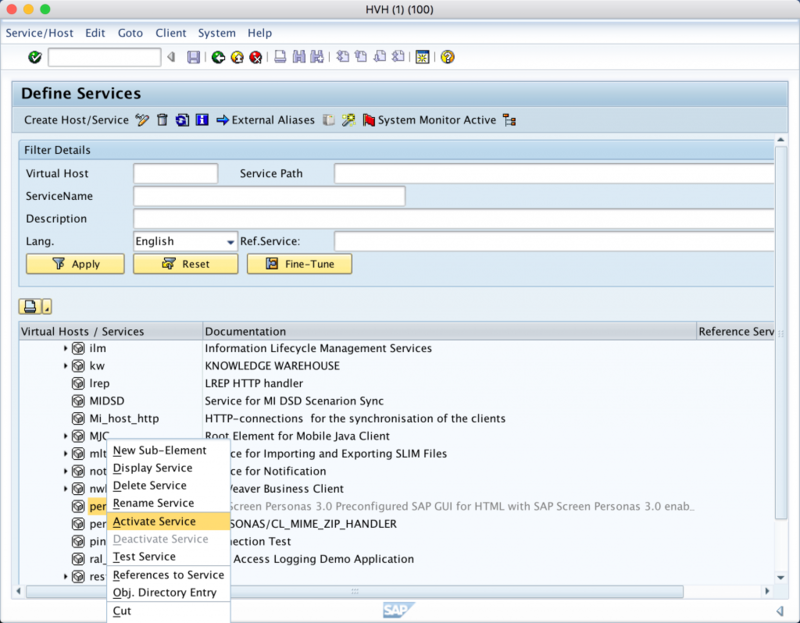 Now you need to make some settings to access Screen Personas with Netweaver WAS. You need to modify the SAP parameters. Screen Personas uses ITS to modify ITS related parameters. 14. 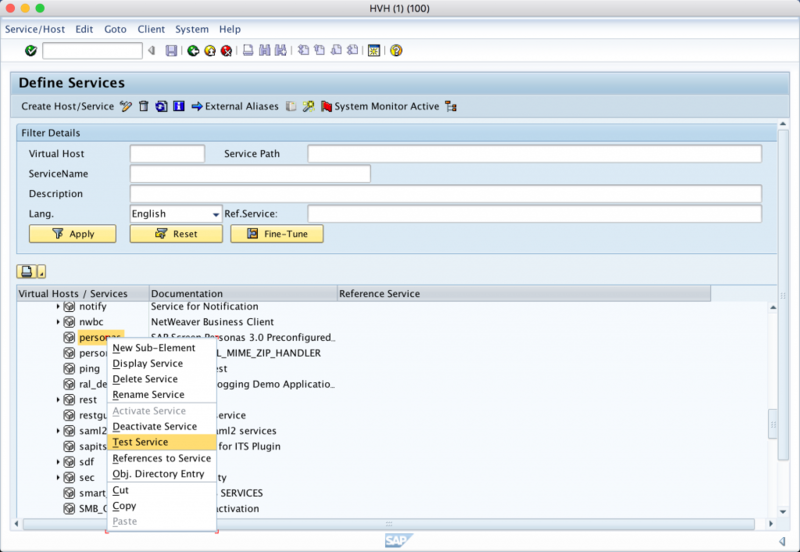 Netweaver WAS uses Transaction SICF to activate Screen Personas related services. 15. Assign the following three roles to the connecting user. 16. 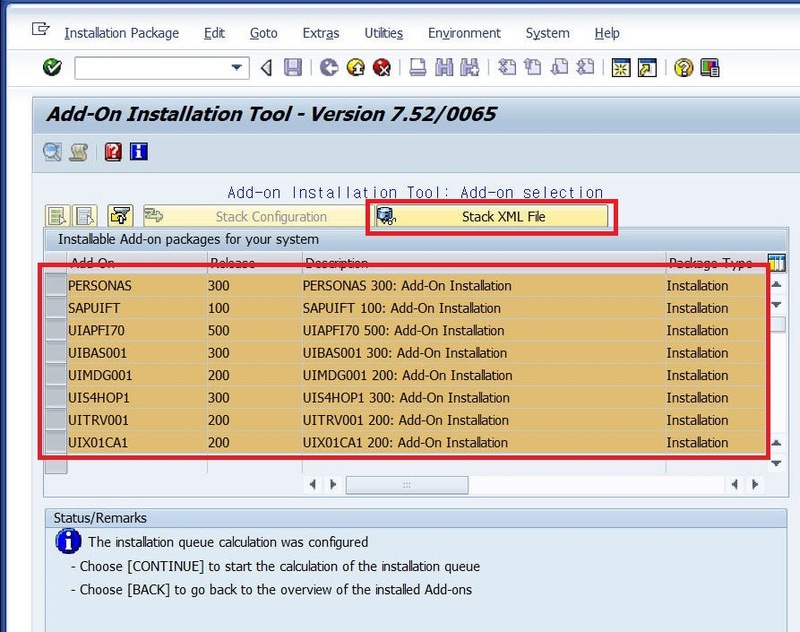 Transaction SICF tests whether the screen for Personas is displayed normally. 17. Now that everything is done, log in to Screen Personas with the URL below. 18. 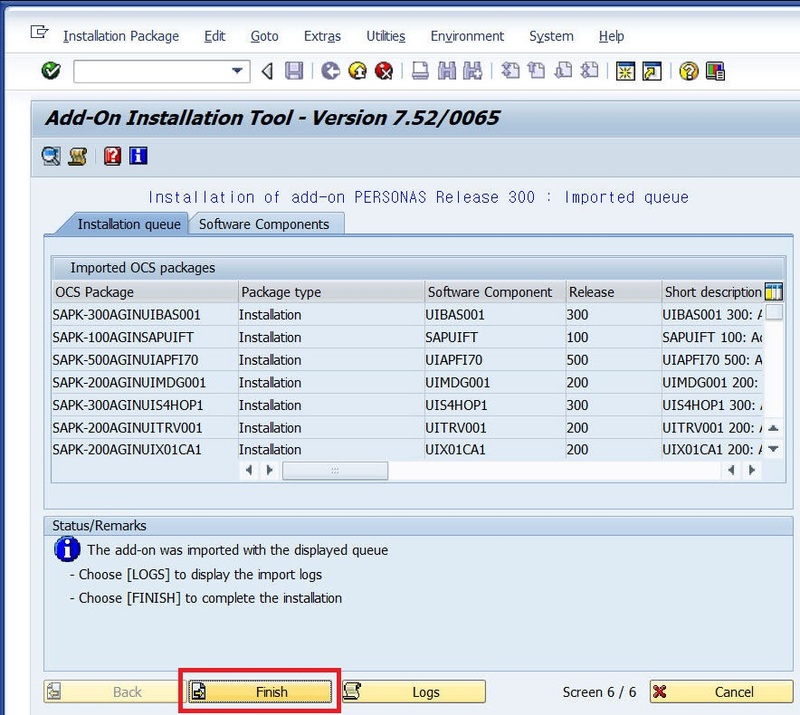 Screen Personas 3.0 Installation Guide from SAP’s Wiki. The reason SAP has created this guide in detail is that it is intended to be used and disseminated by many people.